That's awesome, Dave! It's a bit of a hassle that you have to give the money back to the bank, but at least you won both of your cases and Paypal refunded you instead. On a sad note, Luke Perry of Beverly Hills 90210 and Riverdale died of a massive stroke he suffered a couple of days ago. He was 52. Yes it is, Dave. It's devastating. I really didn't expect Luke to die so young. I only heard about Alex Trebek. Man, I remember when he first took over the job as Jeopardy host back in 1984. He and Pat Sajak on Wheel of Fortune ruled the prime time game show after Richard Dawson left Family Feud and Wink Martindale left Tic Tac Dough back in 1985. Alex...wasn't those two game shows on 7 PM EST on ABC back in the 80s? Yep. Late 70s and the 80s. Tic-Tac-Dough and The Family Feud aired on CBS at 7:00pm and 7:30pm, and Jeopardy! and Wheel of Fortune were on ABC at 7:00pm and 7:30pm and still are. Hope you have a good day with your brother, Dave! That sounds great, Dave! Congrats to them! I've just about had enough of the MCU. This entire thing started off really great in 2008 with Iron Man, but it's descended into a cesspool of insufferable condescension, and politically correct messaging and social programming. Let's not forget that these movies are being made by Hollywood elitists who know nothing about comic books and have nothing but contempt for comic books and comic book fans. These movies are no longer celebrations of comic book art and fandom, they instead have become Hollywood's judgment and condemnation of both the material and the fans themselves. Hollywood should just stay away from comic books altogether. Are they mother f ing kidding me? They made Mar-Vell a woman and cast Annette Benning? WTF, Marvel Studios? Are you just trying to desecrate your entire history for some politically correct bull ? 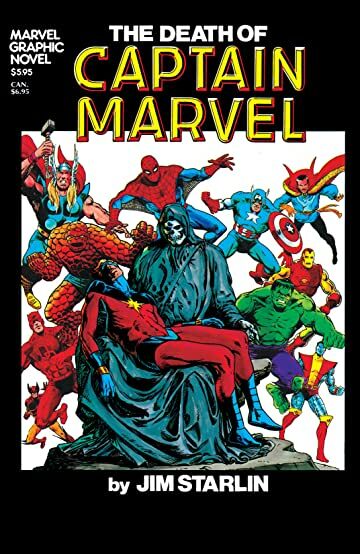 This movie has desecrated Mar-Vell's memory, along with one of the greatest comic book novels ever written. Annette is in this movie as Mar-Vell, Dave. But Mar Vell in the comics is a man, the Kree warrior who turned against the Kree to defend Earth against invasion. I gave you his history earlier. The movie made Mar Vell a woman for some stupid PC reason. Thanks, Dave. I'm gonna need that time travel ability to go back and fix this. Kevin Feige is a dead man.